This entry was posted on 11 April 2017. The wait is over. 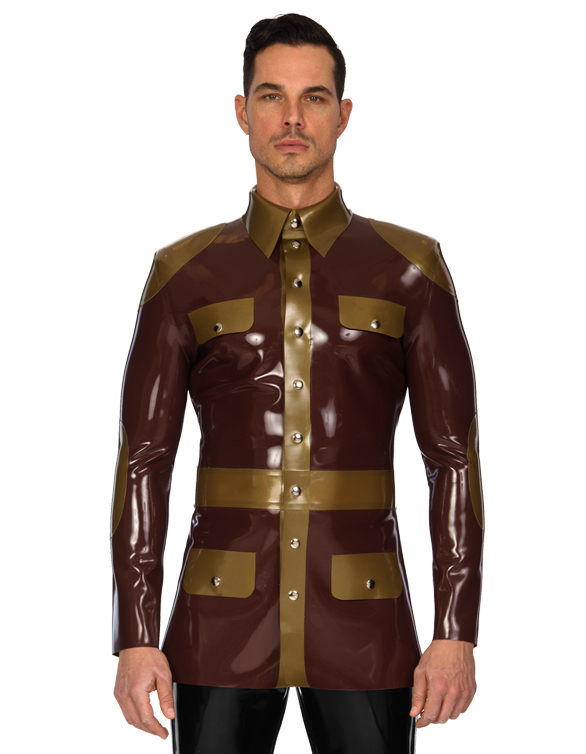 Our new Male Fetish Fashion collection is now available in our website www.libidex.com. And the great news is that we have a 25% OFF sale to launch this exciting new range. 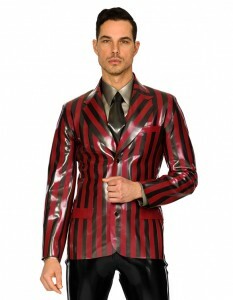 We have, for the first time in our site, some fantastic new items - like our Varsity Jacket, Gladiator Kilts, Adult Romper suit, full-length male coats, PLUS: over 6 new styles of catsuits, 20 new Tops and Polo shirts, including some funky and fun designs, as well as timeless classics like Sailor tops, two incredible-looking Polo Shirts themed with the Union Jack and Empire Of the Rising Sun flag. Cool and funky T-shirts and much more. We've designed lots of new jackets in various styles including biker, dinner, tuxedo and double-breasted, to name but a few. And that's not all! We have loads of new styles of trousers and leggings such as suit trousers, uniforms, rave, sports gear, medical - you get the picture?! We have also revisited some of our classics, like the Police top now available as shirt with press studs instead of front zip. You will be spoilt for choice. In total, this brand new collection features over 130 new male styles and this is only part 1, with part 2 following in the next few months. Libidex Leggings featured in the Central Saint Martin London Fashion week graduation Show. Libidex on "HARD AND HEAVY” PART II - New male collection is available now. Sean on "HARD AND HEAVY” PART II - New male collection is available now.